It’s so tempting to title this with something cliche like “lonely bench”. It’s screaming for an art-nerd name. Go for it. "Solita". Where was this lonely bench? some park in London….which opens up a whole new avenue for cliches. I like "solita". I would love to come up with a name for this photo….but I’m too busy playing IPHONE SKEE BALL!!!!! 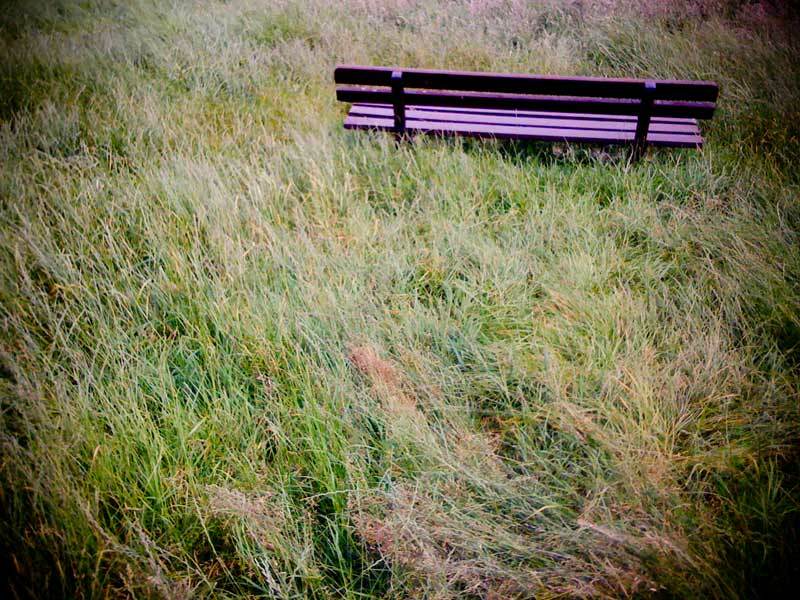 but i am fond of "purple bench"….like "the red wagon" poem. positioned bench stage top right. "sage" Only because i cooked with sage last night and my fingers still smell like it as i’m typing…and it’s a pretty name.